The hotel boasts the Kaiseki dinner featuring local fresh seafood. 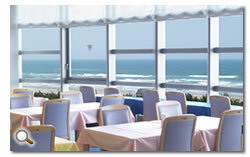 Watching the sun setting over the Japan Sea, the guests can enjoy the dinner at the restaurant on the 7th floor. 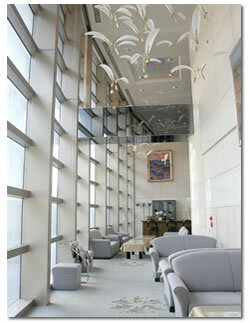 From the elevator halls on all floors, the guests can enjoy a great view of Mt. Chokai.